Thousands of people across the planet have made the festivals of different countries their means of traveling. There is a good reason for that too; you can find yourself enjoying once in a lifetime experience. Today for our readers we have found out some of the amazingly odd festivals around the world to add to your travel list. So scroll down to look at these world’s weirdest festivals to add to your bucket list. The festival is organized in Malaysia and Singapore. 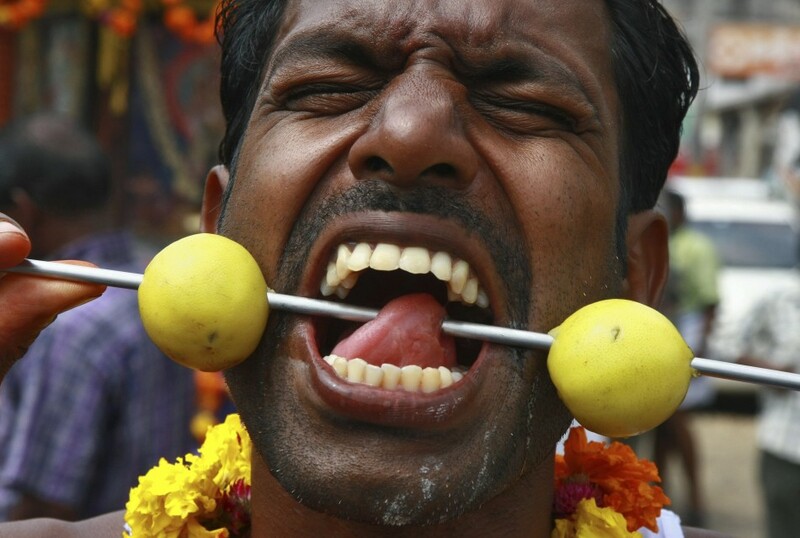 The local Hindus, during this festival, pierce their bodies as well as hitch sharp metal hooks on their backs. They tie weights to these hooks which are called “Kavadis” for ten hours. It is meant to cleanse their bodies of sins. 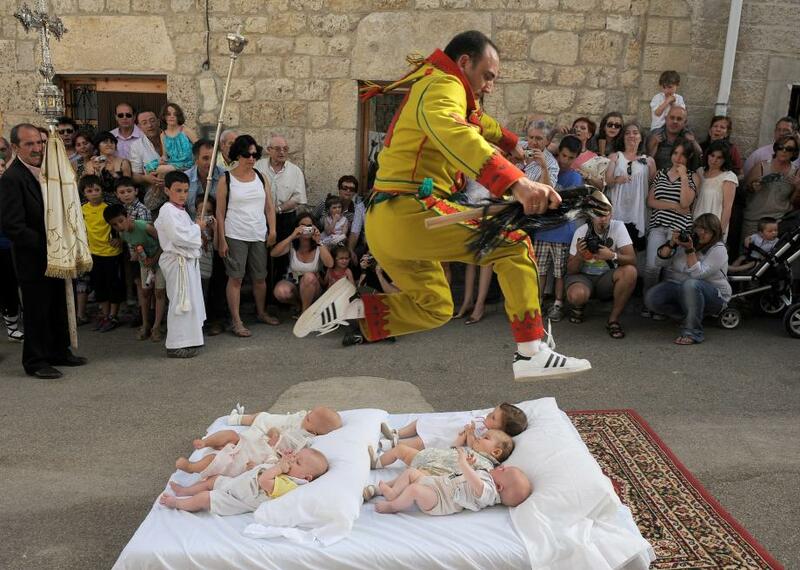 In a Spanish village named Castrillo de Murcia, people there hold a festival called the Baby Jumping Festival. The festival starts with men wearing red and yellow suits to be the devils and start running around the village. The second part of the festival, these devils start jumping over one-year-old babies who are laid down on the ground on mattresses. The ritual is performed to protect the babies from future bad luck and also to wash away the sins of the men jumping over them. The Boryeong Mud Festival is not a spa treatment but it is still a whole lot of fun. In July, the festival is held near the coast of the Yellow Sea that is rich in mineralized mud. People play mud games take mud baths and there is even a Mud Marathon with lots of music and dancing as well. In November of each year, the people of Thailand hold a festival to invite thousands of monkeys at the Monkey Buffet Festival. 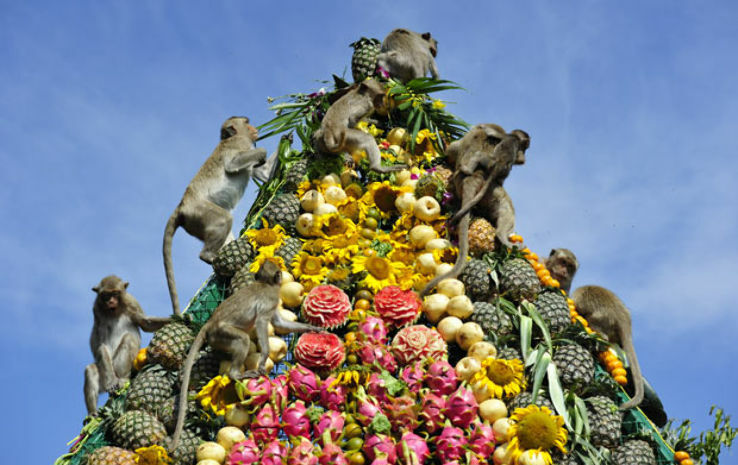 Nearly 4000 kilograms of Thai Dishes are presented to these monkeys in order to bring people good luck. In February of each year, a Hair Freezing Festival is held at the Takhini Hot Pools in Canada. The rules are simple; all a person needs is to have hairs and willingness to take a dip in the -20 degree Fahrenheit temperature with a hell lot of patience. In the hot springs, dip your hairs and take them out to and wait. Rest will be taken care of by the cold. 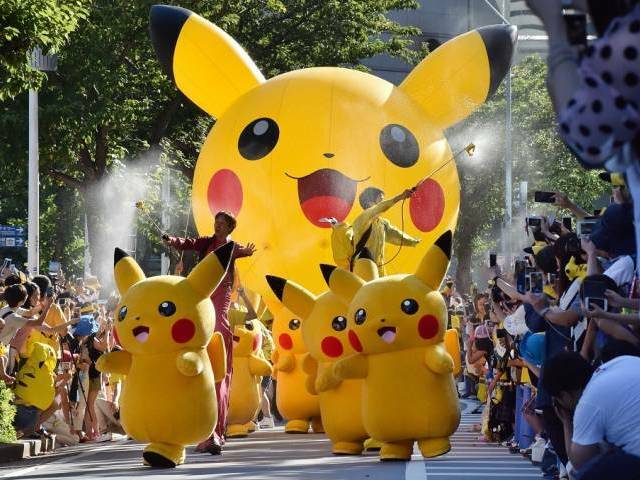 In Japan every year, nearly 1000 performers from all over the country take over the streets while dressed in Pikachu costumes at the City of Yokohama. 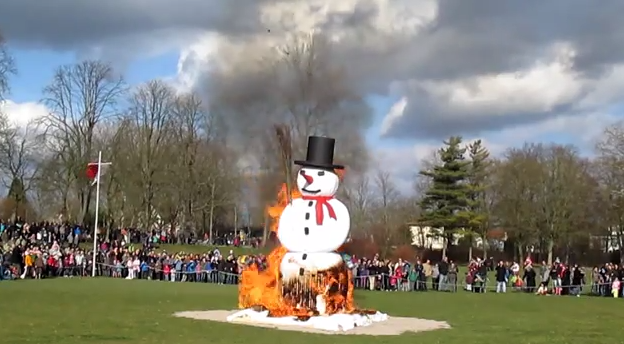 Every year on March 20th, the people living in the cold area of the Lake Superior, USA, mark the coming of spring by burning a large snowman. Many people from other States of America visit to join this festival for fun as well.